Can Eating Oatmeal Increase Breast Milk? An inadequate milk supply while breastfeeding is a common concern for new moms. Nearly all mothers, unless extremely malnourished, are able to produce enough breast milk for their infants. While research studies have not proven that consuming oatmeal will increase milk supply, there is a large enough number of positive personal accounts that validate eating oatmeal to try to increase breast milk supply. Eating oatmeal for breakfast is a common recommendation for increasing milk supply. There is no scientific research proving that oatmeal increases milk output. However, personal accounts of numerous women and lactation consultants, as well as some cultural traditions, claim oatmeal effectively increases breast milk supply, states Kelly Bonyata, an International Board Certified Lactation Consultant (IBCLC). 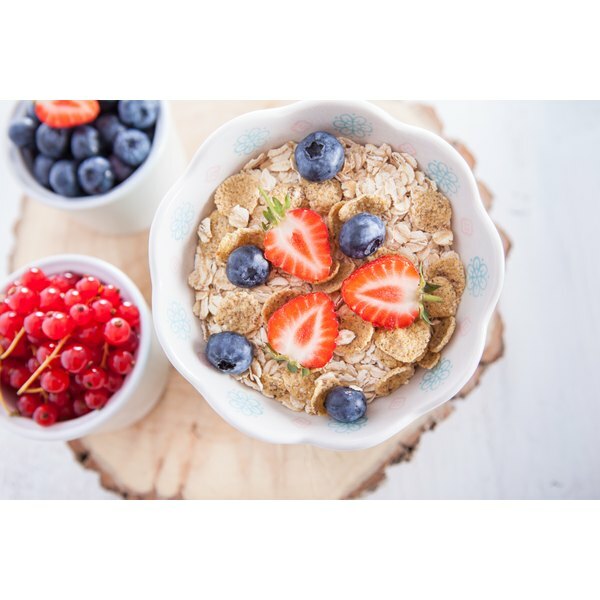 If you are struggling with maintaining your milk supply, Bonyata identifies oatmeal as a healthy, safe and natural way to assist with increasing it. Oatmeal may affect breast milk supply in a number of ways. An important feature of oatmeal is that it is a source of iron. When your maternal iron levels are low, or you are anemic, your milk supply could decrease. Increasing iron intake could help increase milk supply. Oatmeal is also a comfort food for some women, and when a nursing mom is relaxed and comfortable, let-down and milk supply increase. Bonyata recommends one bowl of warm oatmeal every morning for breakfast. Some moms have reported seeing a positive effect on milk supply from instant oatmeal and oatmeal baked into cookies as well. Eating oatmeal does not normally have any adverse side effects. However, if you are gluten intolerant or have celiac disease, oat could cause symptoms such as diarrhea or other gastrointestinal problems or malabsorption of foods. While oats don't contain gluten, they are often processed in the same plants and on the same machinery as wheat and other gluten sources. Traces of wheat, barley or rye can contaminate the oats, causing symptoms. Avoid oats also if you have an oat allergy. If you have these sensitivities, speak with your health care provider before adding oatmeal into your diet. Supplementing with oatmeal alone will not increase milk supply. A nursing mom requires a well-rounded, varied diet that is high in vitamins and minerals. To meet your need for vitamins and minerals, the National Institutes of Health (NIH) recommends consuming fruits and vegetables, whole grains, protein-rich foods and calcium-rich dairy. Ideal fruits to support lactation include those high in vitamin C, A and folic acid. Whole grains can be found in breads, rice and pasta. Protein-rich foods include meat, poultry, fish, nuts, eggs and dry beans. Calcium-rich dairy includes milk, yogurt and cheese. The perception of low milk supply can come from misunderstanding normal lactation along with low confidence in breastfeeding. Signs that are often misinterpreted to mean low milk supply are softening breasts; baby feeding more often; baby feeding for less time; baby acting unsettled or fussy; baby settling faster after drinking formula; and baby's growth slowing after three months of age. A September 2006 "Australian Family Physicians" article lists reliable signs of low milk supply as: weight gain of less than 500 g, or 1.1 lbs., per month, baby weighing less than birth weight when two weeks old, urine output less than six times a day and urine that is concentrated. Other signs include infrequent stools that are hard, dry and green, a weak cry, dry skin, poor muscle tone and dry mucous membranes inside the mouth. Should you notice any of these signs, contact your baby's health care provider. Leslie Stamper has been covering medicine and health since 2005. A registered nurse and clinical nurse educator with more than six years experience in obstetrics and neonatal intensive care, she holds a Bachelor of Science in Nursing degree from Bethel University, and a Masters of Science degree in Nursing Education from the University of Minnesota.